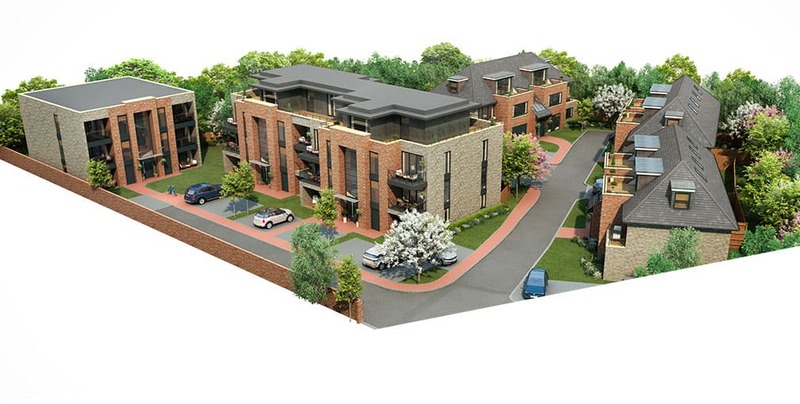 Following a recommendation from another client, Fauji Properties appointed us to assist with their project in Newbury Park. Having regard to the two previous pre-application responses from the London Borough of Redbridge that were somewhat inconsistent, Fauji Properties enlisted our help to provide professional planning advice to guide them through their latest development project. To achieve permission for a new residential development on the site of the former Newbury Park Synagogue and former Lawn Tennis Club. Once we had carried out a full review of the pre-application advice received from the Council, it became apparent that the proposed development had significant planning issues that needed resolving. To achieve this, we put forward a strong planning argument for the loss of the synagogue on site, in addition to referencing the pre-application responses given by the Council and the demolition prior to approval, which was granted on the 18th May 2017. With regard to the former tennis club, evidence was submitted to demonstrate that the tennis courts were last in use in 2007 and has therefore remained derelict for a decade. As such the justification for the loss of both the synagogue and tennis club in place of residential development would be acceptable. Our detailed planning application was submitted along with supporting information including Viability Assessment, Contaminated Land Assessment and Transport Statement. Following design amendments and negotiations on affordable housing, the application was considered by the Redbridge Planning Committee on 5th September and was approved. A comprehensive and complicated submission that could only be achieved by planning experts. A Comprehensive planning, design and access statement produced. Design amendments to the scheme with no loss of residential units or floorspace. Negotiated reduced affordable housing contribution. Reduction in number of pre-commencement conditions.